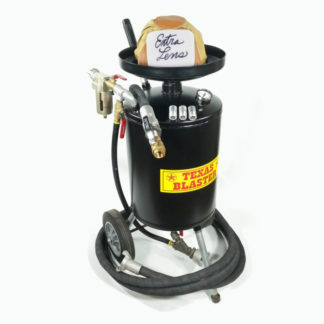 The Original Texas Blaster 150 lb pressurized media blaster. Established and built in Texas since 1963. We’ve been building and using the Texas Blaster for over 55 years. That’s 55 years to perfect a quality industrial blaster. No where else can you get an industrial blaster for under $400. Write this down! Blasters do not require air to work. Nozzles require air. Small nozzles require Small Air – Big nozzles require Big Air. Most compressor making 11 CFM will work. We’ve been reviewed by users on YouTube, The Garage Journal Board, TractorByNet, Powder365 and Jalopyjournal. We know the more you do your research and compare, the more certain we are you will realize that the Texas Blaster is a better tool, a better value, a better blaster. 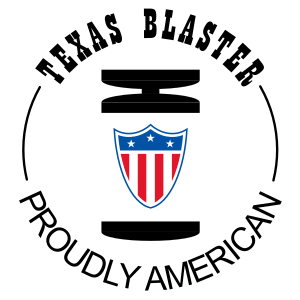 Texas Blaster are always in stock and ready to ship. ORDER TODAY! Click the Logo above to find out what Proudly American means to us.